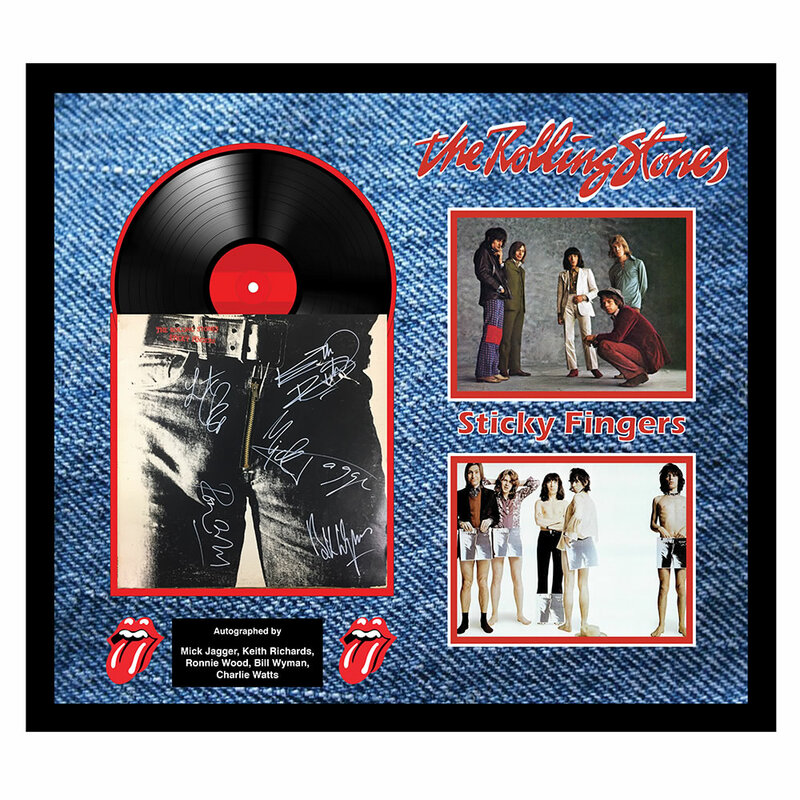 The Rolling Stone Autographed Sticky Fingers Album comes with The Hammacher Schlemmer Lifetime Guarantee. Items that we sell are guaranteed for their normal life under standard non-commercial use. Should any product fail to meet your expectations, we will replace it or refund the cost of the item less shipping and service fees. Returns older than one year will be credited in form of a gift certificate. Should you have any questions, we are available seven days a week (Monday - Friday 7:30 AM - 9 PM EST and Saturday - Sunday 7:30 AM - 8 PM EST) Please call 1-800-321-1484 to speak with a specialist or email us at customerservice@hammacher.com to receive a response within 24 hours or less. 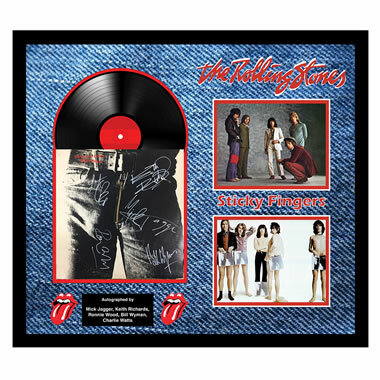 Shipping charges noted in parentheses apply in addition to our standard shipping & service charges on this item. Shipped via truck and may require customer assistance upon delivery. You will be contacted to make an appointment for delivery. We're sorry, but gift wrap and gift cards are not available. GST still applies and will be charged upon processing. Please allow 3-4 weeks for delivery. Not available for shipment to P.O. boxes, APO address or outside the contiguous US. Hover and click to magnify, click again to zoom. Our curated product selection is uniquely picked to meet standards of quality, function and intrigue. Our merchandise is backed by our Lifetime Guarantee. As an employee owned company, our customers are served by those with a vested interest in ensuring complete customer satisfaction. You are now subscribed to Hammacher emails -- Thank You! Password must be between 6 and 20 characters. Must be different from name. Must contain at least one number (0-9). Must contain at least one lowercase letter (a-z). Must contain at least one uppercase letter (A-Z). Enter your email address below and we will email you a link to reset your password. If you do not receive this in your email inbox, please check your junk folders.